Creta Iovis magni, medio iacet insula ponto. 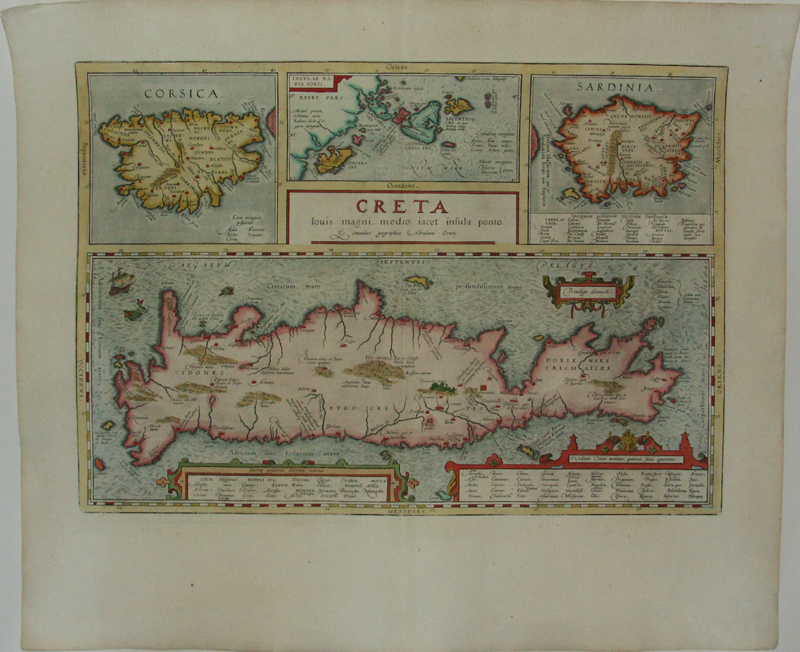 Ex conatibus geographicis Abrahami Ortelij / Corsica / Insulae Maris Ionii / Sardinia. Fine map of the Greek islands. Verso Latin text [xxxv].